Archbishop Blase Cupich leads a Mass remembering children lost to abortion and those affected by it. 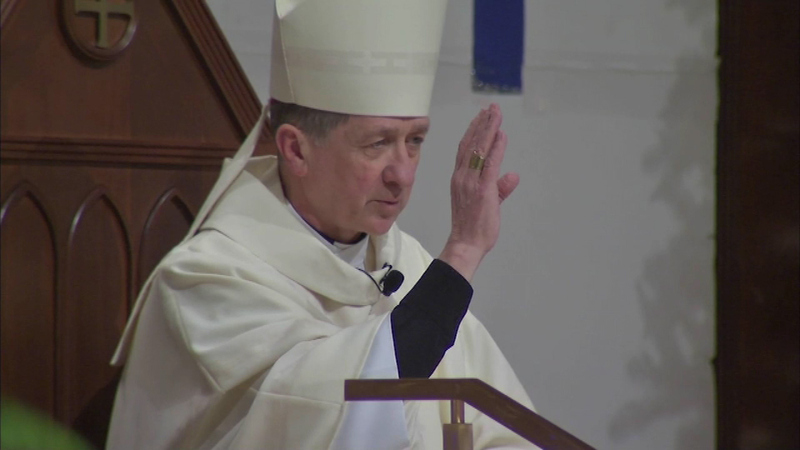 LaGRANGE, Ill. (WLS) -- Archbishop Blase Cupich led a Mass remembering children lost to abortion and those affected by it. The "Mass for Life" was held at St. Cletus Parish in La Grange, Ill., to mark the 42nd anniversary of Roe v. Wade. In a landmark decision in 1973, the U.S. Supreme Court ruled abortion is a fundamental right under the constitution.